Today, March 26, marks the day when Chinese smartphone maker introduced its yet another flagship smartphone which is essential a Samsung Galaxy S10 rival within the Android fraternity. I am talking about Huawei P30 and P30 Pro, successors to last year’s P20 and P20 Pro, however, there is no Lite version available yet. No doubt Huawei P30 Pro is a photographic powerhouse as it has already proven its caliber against Samsung Galaxy S10 Plus when it comes to the lossless 5x zoom and how clear the pictures are and more about it later. To commence with, The non-Pro P30 sports a 6.1-inch OLED display with a resolution of 2340 x 1080 pixels and comes with a tiny notch right-at-the-middle notch along with curved edges. It runs on a smaller 3,650 mAh compared to its Pro variant and sports a 22.5W charging speed which is something that makes it among the fastest smartphones to charge up. The device lacks IP68 rating but it is surely splash proof thanks to its IP53 rating which The Verge hints could be because of inclusion of a headphone jack which is not available in the Pro variant. About the P30 Pro, the device sport a 6.47-inch OLED panel curved around the edges with a sandwich glass back design. The display boasts a resolution of 2340 x 1080 pixels with an aspect ratio of 19.5:9 and a battery size of 4,200 mAh which is, of course, larger than the non-Pro variant and so is it’s 40W SuperCharge that allows users to charge their device at the earlier. The device also boasts the wireless charging speed of up to 15W and supports reverse wireless charging as well which is something Huawei Mate 20 Pro brought on the table last year. Both the devices run on 7nm HiSilicon Kirin 980 octa-core processor and thanks to the identical cores, their processing speeds will be equivalent since the non-Pro variant is actually the same in most of the aspects excluding the camera department. The device runs on Mali-G76 MP10 graphics card and has an a6/8GB RAM variants available at disposal although their availability is yet to be confirmed. About the internal storage variants, the P30 has 64GB, 128GB, and 256GB while P30 Pro sports 128GB, 256GB, 512GB of internal storage with an NM card expandable up to 256GB using SIM 2. This is where the P30 Pro leaves non-Pro variant to taste dirt although both the devices have performed exceptionally well in most of the preliminary tests as mentioned by various tech portals. Speaking about P30, the device sports a single front camera with 32MP with f/2.0 wide-angle camera, the same for P30 Pro as well. But the magic happens when you turn the phone and see that P30 sports a triple camera set up while the Pro variant sports a quadruple camera setup. Huawei P30 sports a 40MP main sensor with an aperture of f/1.8, 27mm wide angle, 1/1.7-inch sensor size paired along with an 80mm 8MP telephoto lens with an aperture of 8MP, 3x optical zoom with OIS and a 16MP ultrawide sensor with an aperture of f/2.2. Huawei changed the outlook of the default RGB sensors inside the pixels by introducing RYYB SuperSpectrum that enables the pixels to soak 40% more light than the usual RGB setup that gives the phone its ability to take breathtaking photos without any hassle even in the low-light although Samsung Galaxy S10 Plus might have an upper-hand when it comes to shooting photos in high-light. But the real swagger is the Huawei P30 Pro which packs in a quadruple camera setup with an 40MP main sensor (OIS, f/1.6, 27mm), a telephoto 8MP lens with a focal length of 125mm, OIS, and an aperture of f/3.4 paired along with prism-based Periscope 5x lossless zoom capability that can be further extended to 10x optical zoom without losing much of the data due to image compression. 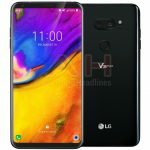 The device has a 20MP ultra-wide angle sensor with an aperture of f/2.2 paired alongside a 3D ToF sensor for depth detection, however, the latter is crucial for sensing depth-related data, however, we haven’t seen much of an improvement over it compared to the last iteration seen in Mate 20 Pro. It is just a matter of time until results capturing the true essence of photographic prowess the P30 Pro holds so watch out this space for more. As per the price are concerned, Huawei P30 Pro 8GB/128GB is estimated to fetch €999 while a larger 8GB/25GB variant could fetch a price tag of €1,099 and finally, the larger 8GB/512GB variant will fetch a price tag of €1,249. On the contrary, Huawei P30 will fetch a price tag of €799 for its 6GB/128GB variant although prices for other markets is not available at the moment.